Dr. Elizabeth Van Wie Davis has lived and worked in Asia for many years. Initially her academic research focused on China. She and her family lived in China on several occasions, primarily in Nanjing and Beijing, and traveled extensively throughout the Chinese countryside. During her time at Johns Hopkins University SAIS, she met former President George H W Bush on several occasions regarding China issues. Her work on the Chinese energy policy and the environment expanded to other parts of Asia, including field work and publications on Thailand, Indonesia, Japan, and Korea. After 17 years in academia, Dr. Davis took a hiatus to work for the US government on issues related to Asia. Based in Hawaii, she travelled regularly to Asia to work on issues of preventive diplomacy. These USG projects included discussions on China with Pakistan, aiding Bangladesh during a difficult political time, and working with the Nepalese officials during the transition from monarchy to representative democracy as well as a citation for her work on the EP3 incident. Simultaneous to these on-the- ground projects, Dr. Davis maintained a rigorous academic agenda that including briefing US senators and congressmen, top US military officers, and foreign government officials on issues related to China and Asia. During this time as well, she wrote her third book, “Islam, Oil and Geopolitics,” examining how energy resources impact the policies of the United States, Russia and China. During her years at Mines, Dr. Davis has continued her work on policy issues related to energy and to share her love and knowledge of Asia. 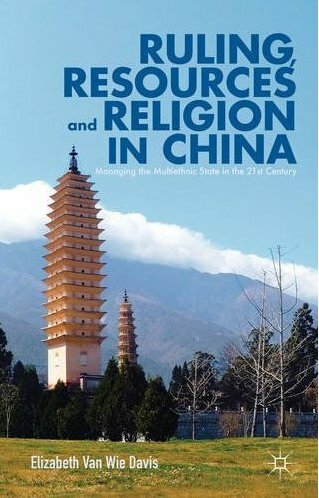 She completed her fourth book, Ruling, Resources and Religion in China, in 2012 and has begun work on her fifth book. This book assesses the role of new technologies–with cyber wars, drones and robots–in the changing status of conflict in Asia starting with Sun Tzu to current day concerns. This book analyzes the trends of governance that offer insight into China’s future policy—domestic, security, and foreign—that will have repercussions for the world. Issues such as governance concerns, minorities, and religion are all discussed. 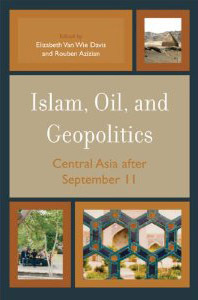 This book offers analyses of the intriguing issues of Islam, oil and geopolitics in Central Asia from the perspectives of China, Russia, the Central Asian republics, Mongolia, and the United States. While the US interests focus on the “war on terrorism,” the Russian interests arise from the old Soviet era concerns as well as sharing China’s concerns with fundamentalist terrorism, arms and drugs trafficking, and minority separatist movements. This book presents the first comprehensive overview and analysis of the Law of the Sea Treaty and the application to and involvement of China.